This morning I thought about his tweet as I pulled weeds in the cold mist, feeling the freezing mud soak through my gloves. To me it sounds like a summary statement of eighty-three years of living rather than instructions on how to live. 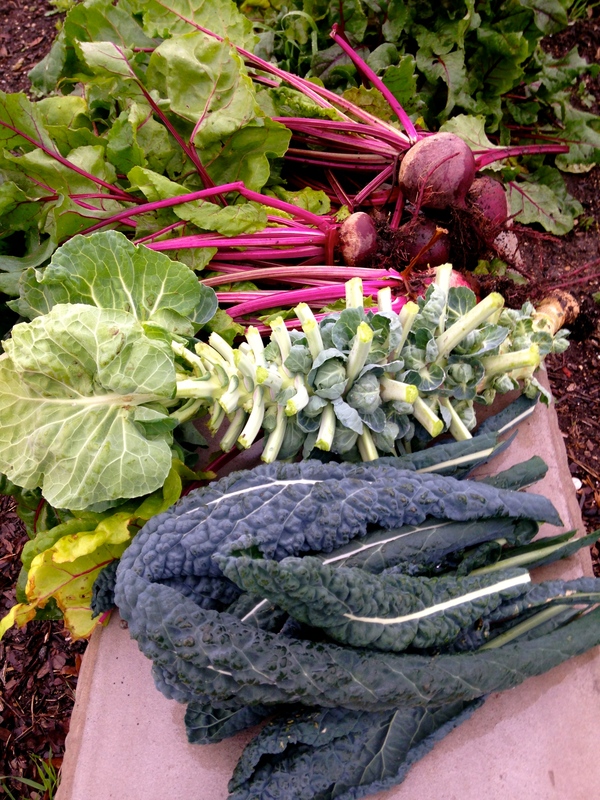 The day’s harvest of beets, kale, and brussels sprouts, the hardy show-offs of the winter garden, lay on my cement bench. The warm decay from the compost pile rose up, making itself visible in the light drizzle. The chickens, more vocal than usual, were complaining that they’re ready for spring. A garden is at peace with time’s passage. Winter vegetables will bolt and wither as gardeners dream of summer tomatoes, again and again. Each cycle is unique, the victories and the disappointments, and the hard work in between. Life will push through the soil whether a garden is tended to, or not. To look for and embrace those perfect moments, or not.